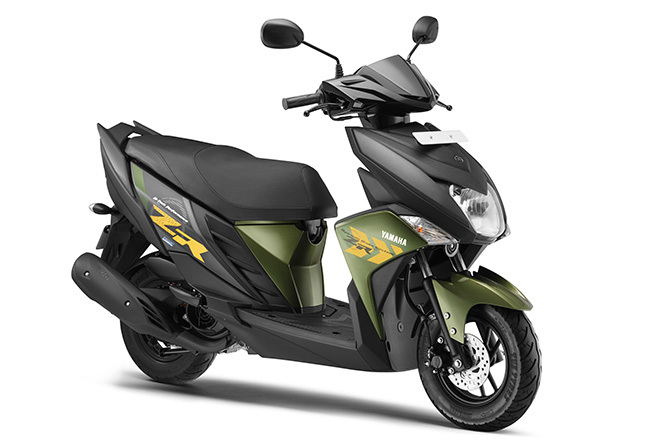 Yamaha Motor Launches Young Male-oriented Cygnus Ray ZR Scooter, Stylish New Product for the Ever-Growing Indian Scooter Market - News Releases | Yamaha Motor Co., Ltd.
IWATA, April 22, 2016—Yamaha Motor Co., Ltd. (Tokyo: 7272) announced today the launch of the new Cygnus Ray ZR scooter onto the Indian market from late April. Featuring a stylish body and a 113cm3 BLUE CORE engine, the Cygnus Ray ZR was developed based on the Next Generation "REAL" Boys Scooter concept as the next-generation model from the current Cygnus Ray Z, which is principally popular with men in their 10s and 20s. While inheriting the current model's concept, the Cygnus Ray ZR features styling that satisfies the needs of the highly trend-sensitive young rider. The design realizes the REAL Boys Scooter concept by balancing the deeply-sculpted and powerful front mask, effortlessly-layered straight lines, and tail surround accentuated with a sense of speed. The Cygnus Ray ZR also emphasizes practicality and comfort with its spacious underseat storage and tandem sheet with thicker cushioning. In addition to the standard model, a premium specification will also be available, featuring the addition of aluminum wheels, disc brakes, and down fenders. To date, Yamaha Motor has enhanced its Indian market scooter lineup by consistently launching products that respond to a wide variety of user needs, such as the Cygnus Ray aimed at female riders, the Cygnus Ray Z targeted to young males, the family-oriented Cygnus α, and the premium fashion scooter Fascino. Further growth is forecast in the Indian market with Yamaha Motor aiming for further sales expansion.